Click here to know more about TVS Apache RTR 200 R2.0. *NS200 ABS comes with 300mm front disc brake and the kerb weight of ABS model is 154 kg. 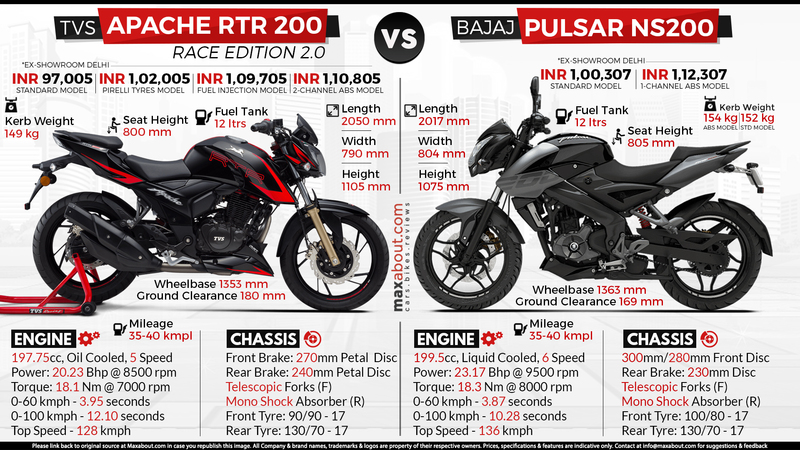 Click here to know more about Bajaj Pulsar NS200. Downloaded 106 times this week.